Water is a critical part of our existence! In Minnesota, we live amongst water. Our lakes, our rivers, and our groundwater have shaped our culture and our landscape. And we, too, influence our water. In our state and far beyond, our actions have and will affect our environment now and for years to come. MnCOSE18 is at the Rivers Edge Convention Center. The events start Thursday night! Presentations, exhibits, and keynote speakers will be the focus of Friday while Saturday will include workshops and more! Join us at The Paramount Theater for a special screening of the film "Chasing Coral" at our Thursday evening reception after "Team Teaching with Mother Nature" by Jeffers. The big day starts Friday morning at the Rivers Edge Center with a day full of great sessions for educators. Each conference strand will include a special strand speaker. New this year, check out our special elementary share-a-thon! We'll end the afternoon Friday with a social event at the Courtyard Marriott followed by opportunities to dine locally at several restaurants with friends new and old. Saturday brings several more opportunities including local water-themed workshops and a suite of relicensure opportunities for you. Saturday only registration is also available. We welcome these exhibitors that will be at MnCOSE18! 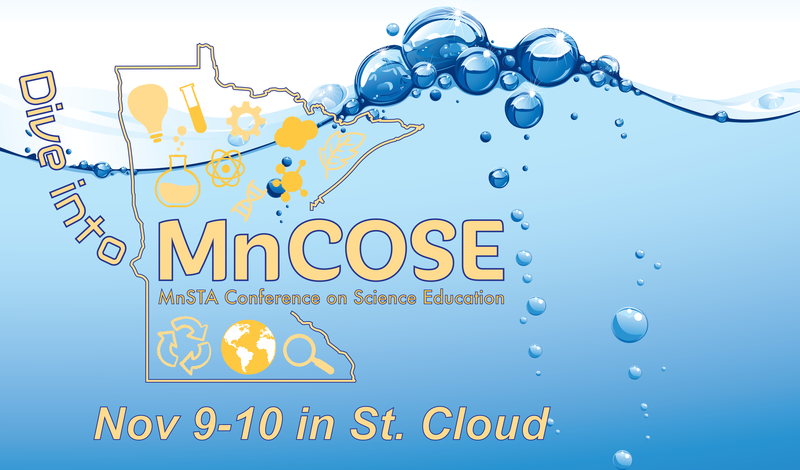 Please mark your calendar for MnCOSE19 - we plan to be back in St. Cloud Nov 8-9, 2019!